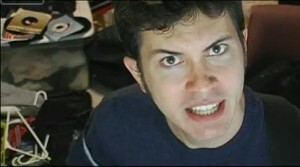 Cute Win Fail is a YouTube channel hosted by the sarcastic and fast-talking Toby Turner. In each video, three popular YouTube videos are featured: one showing a “cute” situation, one showing a “winning” situation, and one showing a “failing” situation. Viewers are then asked to vote on their favourite. The results are subsequently announced at the end of the next posted video. Click here to subscribe to the Cute Win Fail YouTube channel or click here to subscribe to Toby’s personal channel.